Equal, or as close to equal as possible focal distance for each monitor. This requires the monitors to be positioned in an arc. Adjustability of the focal distance to accommodate each individual’s specific visual requirements. ANSI/HFES 100-2007 recommends a minimum of 10” back and forth adjustment with a suggested range of 19” – 29”. Whoa! That's a lot for anyone to remember. But, making these adjustments can be easy with a well designed monitor array, that combined with a “smart” console can relieve users from the responsibility of having to correctly make multiple adjustments to each monitor every time they start their shift. This not only results in a much better, totally consistent ergonomic working position for the user, but it is far easier for the manager or supervisor. Little, if any, training or supervision is required to train users on the correct ergonomic focal distance of a monitor array. 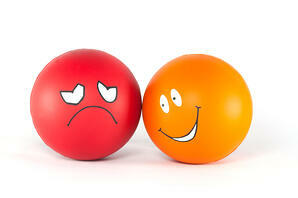 Therefore, the supervisors and managers can concentrate on more important elements of this high pressure job. As designers and manufacturers of “ergonomic” dispatch furniture, it is our responsibility to develop a console which requires as little input from user as possible. Those furniture providers that do not have a single monitor array for easy focal depth adjustment, should be considered flawed as this is a major ergonomic compromise for the user(s). Correctly designed furniture can help to eliminate the potential errors that can cause overall health concerns and workers compensation claims. This is why at Xybix, our goal is to position the monitors so as to only require the user(s) to, with one motion, adjust the focal depth of all of the monitor’s simultaneously. This is the type of ergonomic detail should be a requirement for any high intensity 911 Communications Center. 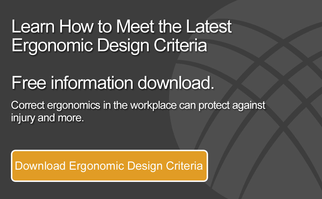 As part of the commitment to provide the best possible ergonomic working environment for you, the user, please consider this a pertinent ergonomic requirement when evaluating your next dispatch furniture purchase decision.